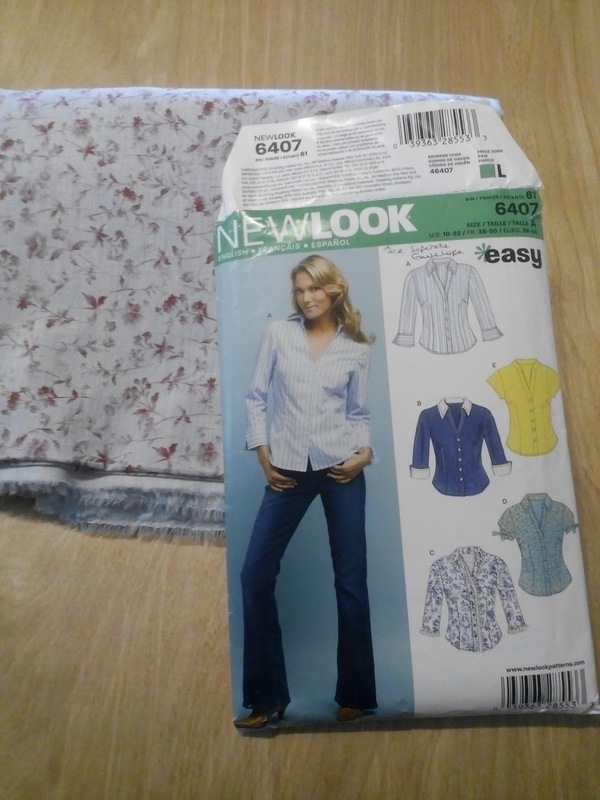 I have used this pattern in the past to make myself a shirt, which I like. However, this was a few years ago and the shirt is rather snug. 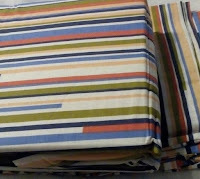 I have bought some fabric in the sales (hurray!) so that I can make another one of a more comfortable size. I am going on holiday with my Mother again this year so I need to smarten myself up! It feels quite soft and light so should be pleasant to wear. As I have already made this before, I have my own paper pattern, altered to fit me, and the toile. Just in case a toile is a new word for you (it used to be for me), it is a practice garment made from cheap fabric (often calico but in my case old sheets or curtain linings that I happen to have lying around). The old toile of course is also snug so I will alter it and then alter the paper pattern accordingly. It turns out that, if I remove the front darts, all those extra Christmas pounds can fit into the shirt nicely but it leaves the shirt gaping at the hips. I will alter my paper pattern accordingly. I am planning to do view C but without the lace trim and with a reduced collar size. My toile was a short sleeved version as in view E but with the collar as in the other views. The collar was too big for my liking so I am taking off half an inch. Here goes. My cutting ruler isn't a dressmaker's tool but I find it handy for lining up the 'straight of grain' arrows on the pattern with the edge of the fabric. I used sheets of A4 paper taped together when I traced out the pattern originally. I wouldn't recommend it. It's unyielding when you want to stick pins in it, and it slides about on the fabric. I copied the sleeve pattern onto lining paper (as in wallpaper). This is also a bit too thick but as it is a bit rough, it sticks itself to the fabric a little, so is an improvement (and cheap!). All cut out and ready to start but that's enough for today.